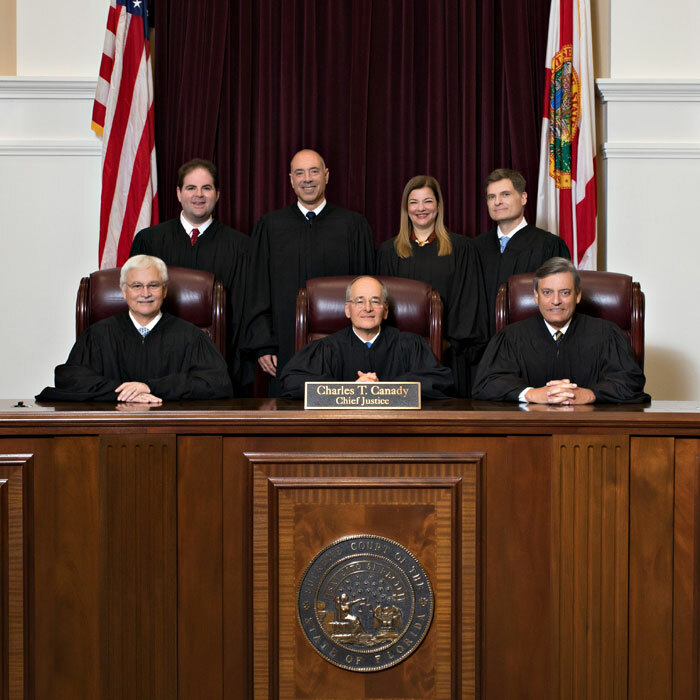 Justices of the Florida Supreme Court live their lives in the glare of publicity. Some would call it a fish bowl. 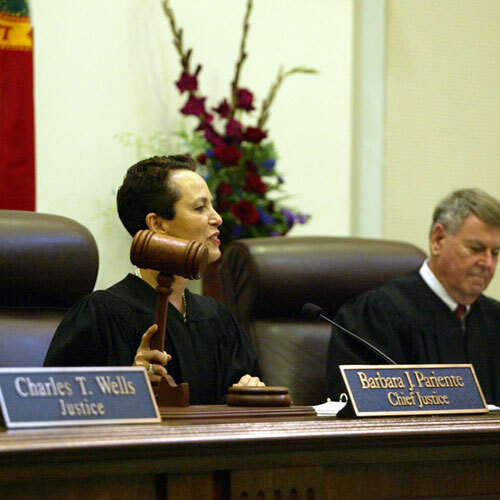 Twenty-one years ago today, a West Palm Beach judge named Barbara J. Pariente was suddenly cast inside Tallahassee's intrusive world of public scrutiny. It happened on December 10, 1997, when Governor Lawton Chiles named her as just the second woman who ever served on the state's highest court. She came to this post from the Fourth District Court of Appeal after a trail-blazing career as one of South Florida's pioneering women trial lawyers. Life in the Tallahassee fish bowl also taught her important lessons for troubles that lay ahead. She would use those lessons only six years later in 2003, when routine medical tests revealed a shattering diagnosis. She had breast cancer. And she would need immediate treatment. The timing could not have been worse. Just a year later she was set to become Florida's Chief Justice -- head of the entire state judicial branch with weighty and demanding responsibilities. Her husband Judge Fred Hazouri later described how she prepared for her treatments with the same meticulous study that had made her such a successful lawyer. And those treatments went very well. But there was another problem. In 2003 women undergoing breast cancer treatment routinely hid their inevitable hair loss under wigs. It was a major concern for Pariente because she was determined to keep up a full work schedule. And that meant sitting on the bench with her six colleagues in proceedings that always were broadcast on live television. At first Pariente followed the custom and wore the wigs. But she hated them. Worse still, she felt they were a pointless pretense when so many people inside the Tallahassee fish bowl already knew her diagnosis. One day, Pariente had enough. On October 7, 2003, an unusually high-profile case was set for arguments over lawsuits aimed at Florida's controversial program to eradicate citrus canker. The entire case would be broadcast statewide from start to finish on live television. At 9:00 a.m. when the broadcasts would start, she left her wig on its stand. And the entire State of Florida watched as Justice Barbara Pariente sat down at the Supreme Court bench with her head completely buzzed. Shaved clean. She herself described the look as "G.I. Jane." An electric jolt leapt through the courtroom and out onto the airwaves. Everyone watched Pariente intently. And when she asked the attorneys her usual meticulous questions, a broad new idea formed in people's minds. Everything here was normal. No one was uncomfortable. Courtroom decorum was unchanged. The world had not tilted off orbit. Pariente was the same judge she always had been. Her questions were just as tough as usual. The best lawyers struggled just as they always did to match wits with her. The only thing missing was the wig. Hundreds of cards, calls, and emails poured into Justice Pariente's chambers in the days ahead. Breast cancer survivors wrote how brave -- and how right -- Pariente was to smash one of the demeaning rote rituals of breast cancer treatment. Even Governor Jeb Bush and his wife Columba wrote notes of admiration. Justice Pariente's husband later summed up the feelings of so many people. "If being open about it takes some of the mystery away," Hazouri said, "and she certainly is a survivor, it gives hope to other people." And that is how Barbara Pariente became something much more than just a judge on a state court. Across the nation, she became a symbol of hope to countless women fighting cancer and the men who love them. Now, after 21 years, Pariente will retire in early January 2019.